Hand-made from raw clay. 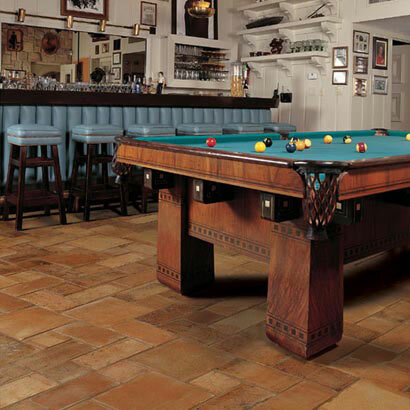 Saltillo tile is known for its beauty, unique look and natural coloration. These one-of-a-kind terra cotta pavers are made from a unique clay found almost exclusively in North Central Mexico. The tiles vary widely in size, shades and texture from one to another, adding to the distinctive characteristics of its look. Adding to its visual appeal is the multiple shape and size offering and two embossed decorative accents. Select the tile and look which best suits your individuality and enjoy some south of the border ambiance in your own home.